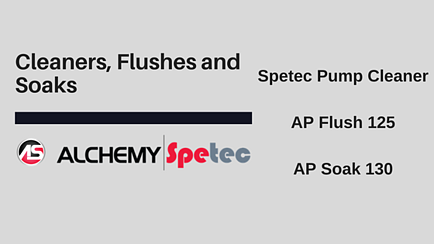 In the previous post we discussed Alchemy-Spetec equipment offerings. While using the best equipment is essential, using the best accessories is just as important. Let's take a look at what's available. Controls resin flow at the point of injection. For flushing concrete dust from the holes you have drilled for crack injection. Seals cracks and slows down gushing water during leak repair. Oakum can be used alone or in combination with leak seal resins. Designed for high volume flow and provide a smooth working surface for easy coupler engagement & removal. For injection of chemical grouts beneath the slab. 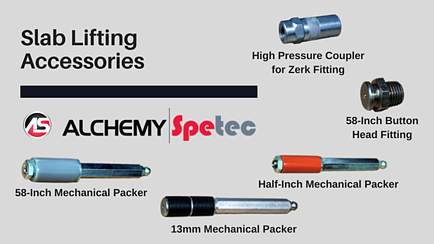 Provide airtight seals when used with packers or hammer-in ports. 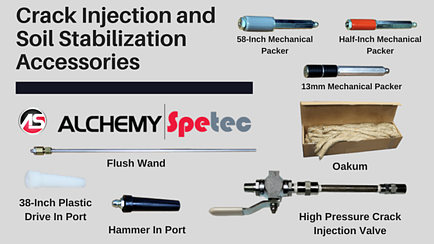 Want more information on Alchemy-Spetec accessories?